Martin Santamaria was born in Mendoza, Argentina, the eldest of five children. After graduation from the College of San José Maristas Brotherhood in 1990, Martin attended the University Nacional of Cuyo. He graduated in 1998 with a degree in Agricultural Engineering. Martin completed his formal wine education in Italy, where he earned a Masters Degree in Viticulture and Oenology from the University of Bologna in 1999. Martin moved to the USA in 2000 and served as the winemaker at Dry Comal Creek Vineyards and Winery in New Braunfels until 2005. During his tenure there, he founded Santamaria Cellars and began crafting wines under his own label, the premier wine being a Malbec. Martin’s hobbies include motorcycling and landscape painting and he is an avid soccer fan. 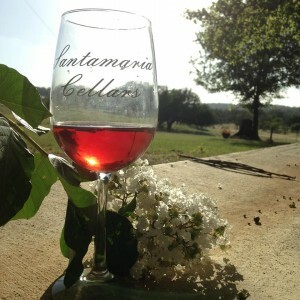 Currently, with wife Angela, Santamaria Cellars produces 7 varietals, ranging from sweet Muscat Canelli to the driest wine, a Cabernet Sauvignon.